Maree Angus is a contemporary realist artist, living and working in Central Queensland, Australia. Through her skills in portraiture, figure studies, landscapes and still life, she likes to share the beauty that she witnesses in our world. While also working in oils, watercolours, acrylics, printmaking, pencil and charcoal, her most favoured medium is pastel. Her love of pastel has led to her being elected as a Master Pastellist with the Pastel Society of Australia. Maree enjoys the challenge of portraying the essence of a person, or an animal, in a portrait or figure painting, and the medium of pastel lends itself beautifully to recreate the luminosity of skin. Growing up on cattle properties in the Mackay hinterland has given Maree a love of the landscape and the animals that live there. This appreciation in turn helps in achieving a good likeness and the real character of the person or the animal or the landscape. Maree has studied at the Julian Ashton Art School in Sydney, as well as workshops around Australia and overseas, with many talented tutors. 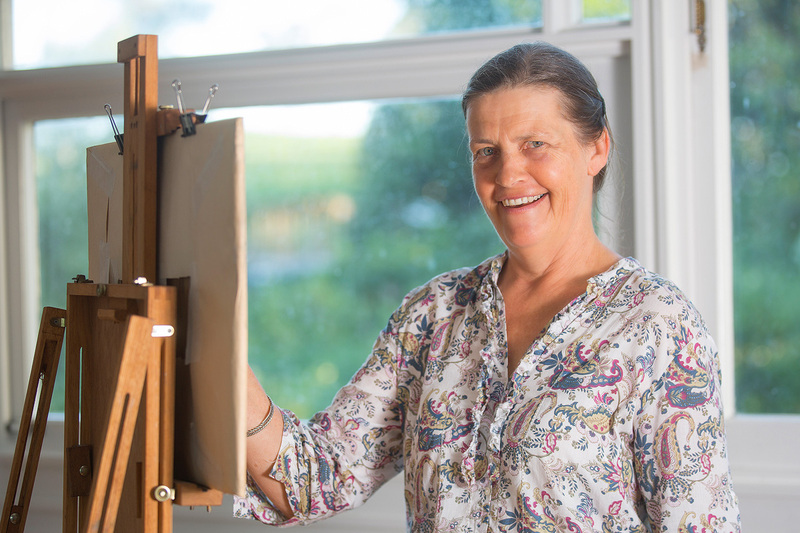 ‘Hours at the Easel’ and teaching others continually increases her knowledge. Lifelong learning is necessary in Maree’s eyes. She is grateful that she was encouraged by her parents when young to pursue her art and appreciated the times her father would take time out of his busy schedule to take her painting on their property. While she does work from her studio, Maree also appreciates and enjoys working from life, either from the model, or still life, and the landscape ‘en plein air’. She would encourage all those serious about their art to do the same. Portraiture is something that interests Maree greatly, and she is certain that she will always enjoy the challenge of creating a good portrait. Learning about anatomy of the person, and animals, is necessary to create a likeness in art. She appreciates the expert tuition that she received at Julian Ashton’s to help her in this aspect. Hers is a sensitive style, one that is needed for portraiture. The success of a good portrait can be so rewarding to her, but the joy that it brings to the clientele, commissioning her to paint their loved ones is the best reward. She is sure many other artists can relate to this as well. She also includes portraits of dogs, horses and cattle and other animals in this passion. The beauty to be found in our world, from the mundane to the amazing, is what inspires Maree to share what she feels with the viewers of her paintings. She hopes that you will enjoy her work presented here on this website. Maree is available to teach workshops or to judge art shows in your area. You may contact her from the contact page here to get more information.